Custom home builder in the Toledo, Ohio are surrounding metro areas. 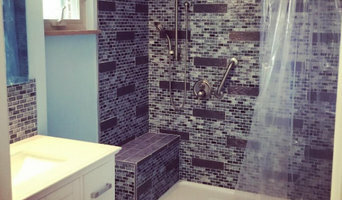 Family owned/operated local home remodeling business, bathrooms, walk-in tubs/showers, basement finishing, kitchen remodeling, additions, etc. Myles Development is a custom home builder who works in a truly collaborative fashion with each and every client, allowing them to realize their ambitions and meet their goals. ARI is your local, veteran owned remodeling firm in NW Ohio. We are experts in custom bathrooms, kitchens, additions, and new home construction, with an emphasis on special needs and accessibility. Developer and Builder of Custom Homes and Villas in Northwest Ohio and Southeast Michigan. Seven time Builder of the Year. Toledo choice winner for Best Single Family Home in 2017 and 2018, Best Villa in 2018 and Best Basement / Specialty Area in 2018. J Mendez Home Improvement is the ideal solution for your home. I offer a list of services, with competitive prices, and excellent customer service. Our VISION be the top business for home Remodeling to bring the highest quality service, the best costumer service in the area, costumer satisfaction on each project BECAUSE your dream project Is our dream! Or MISSION help and make our clients dream projects come true demostrating confidence from the beginning to the end for both small and large project. Our GOAL is that at the end of each project our customers are confident and happy with the investment they made. Building and designing homes in Northwest Ohio for over 25 years, Wright Custom Homes provides clients with personal attention that makes all the difference when planning and building a new home. Brian Wright and C.J. Murawski are hands on builders who not only design, plan, and contract your dream home, but also put their own time in on site to put the personal touches that make your home stand out from the rest. Our home owners enjoy a unique experience when they see Brian and C.J. completing all the finish custom carpentry personally. This has the opportunity to add many special features to your home, when other builders would have to charge extra for this service. For over 40 years, Erie Construction Mid West has been delivering unparalleled service and quality to home owners across the United States. We serve locations in 26 states serving a client base of over 50,000 satisfied customers! We've been recognized time and time again as an industry leader and innovator in the home improvement industry, and our track record of thousands of successful installations speaks for itself. Visit our website at Erie Construction. Langton Custom Deck & Fencing is Wayne Counties premier Deck & Fence Contractor. We specialize in decks, patios, fences, gates and more. We have an exemplary team of that are ready to create a custom plan for your individual needs. Our innovative designs are created to complement the ascetic of your home and natural surroundings. Our decks and fences will exceed your expectations. We love what we do and are confident that you will enjoy working with us. Bredernitz Professional Services offers outstanding home improvement, maintenance and repair services and is licensed and fully insured. Building projects include basement, kitchen and bathroom remodeling, and a host of other home improvement services. We specialize in small projects with a quick turn-around time, yet we have the expertise to manage your larger projects as well. We pride ourselves on professional and dependable services at reasonable rates. Customer satisfaction and attention to detail are our primary goals. Steve Bredernitz is also a part-time instructor at Washtenaw Community College where he teaches kitchen, bathroom, and basement remodeling plus other construction classes. See the list of his current and upcoming classes. Dynasty Remodeling LLC services all of Wood County OH and Now Serving Lucas County OH, and many more! We specialize in Roofing, Siding, Seamless Gutters, Kitchen Remodels, Bathroom Remodels, Drywall Hanging & Finishing, and much much more! We pride ourselves on being the most personable, fair and friendly remodeling business around. Dynasty Remodeling LLC "The Family Business" was started in 2004. Over the past 11 years we've made hundreds and hundreds of homeowners happy! Home Renovations & Home Improvements, from your Exterior's Roofing and Siding to your Interior's Kitchen and Bathroom. 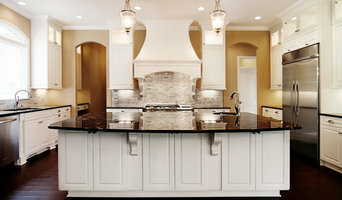 Dynasty Remodeling LLC is the only Home Remodeling Company you'll have to call. 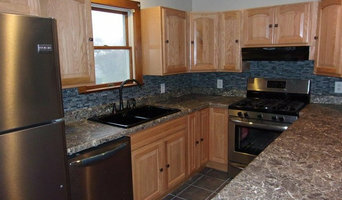 JMJ Residential is a full service remodeling and construction company servicing Ann Arbor and surrounding areas. We specialize in kitchens, bathrooms, and decks. If you're on the brink of a large home improvement project, remodel, or new build, you'll likely want to hire a general contractor in Stony Ridge, OH. These professionals manage all aspects of the job to ensure it's completed on schedule and to your satisfaction. Whether you’re trying to find Stony Ridge building contractors for a new construction, or home improvement contractors to spruce up your existing place, it’s important know exactly what role they will play in the project. Read more below for a list of must-ask questions. General, or construction contractors, are often known as project managers. They oversee the entire remodeling or new home construction project and facilitate all day-to-day tasks that move it toward completion. A Stony Ridge general building contractor will work with your architect to review plan as you build a house and ensure everything is in place before work is started as well as arrange for permits and necessary inspections. While good local home improvement contractors in Stony Ridge will have the skills to handle certain tasks onsite, such as carpentry, he or she is also responsible for hiring subcontractors for the majority of jobs, such as electrical work, painting or plumbing. In addition, the general contractor should be on-site regularly to inspect the progress and resolve issues. Here are some related professionals and vendors to complement the work of general contractors: Architects & Building Designers, Interior Designers & Decorators, Landscape Architects & Landscape Designers, Kitchen & Bath Designers, Specialty Contractors. Home remodeling contractors are a must for successful completion of a renovation. Because of this, it's essential that you do your homework before deciding on the right general contractor in Stony Ridge as you remodel or build a house. Inspect bids carefully. Was it ready when the contractor promised it? Was the bid for building a home unusually high or low? Each of these things can be very telling: A late bid may reflect timing standards, and an off-the-mark bid could be code for a pricey premium or a deliberate underbid to score the remodeling job. You should call references, carefully read reviews and visit completed projects in Stony Ridge, OH to see if they’re what you expect for your job. Once you do secure your local Stony Ridge contractors, read the contract very carefully to be sure everyone is on the same page. Find a Stony Ridge contractor on Houzz. Narrow your search in the Professionals section of the website to Stony Ridge, OH home contractors. You can also search for photos in Stony Ridge, OH and contact the Stony Ridge general contractor who worked on the project.